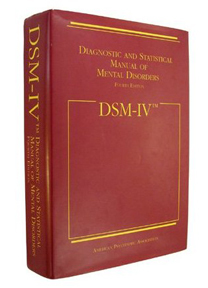 The American Psychiatric Association recently announced some changes in the upcoming Diagnostic and Statistical Manual (DSM-IV), to be published in May 2013. The authors originally planned to change the diagnosis of “mental retardation” to “intellectual developmental disorder.” However, many critics disagreed, as intellectual disability had already replaced mental retardation by the US Department of Education, The American Association on Intellectual and Developmental Disabilities and other groups. What caught my eye regarding the change was that criteria for the diagnosis for intellectual disability will place less emphasis on a person’s specific IQ score and greater consideration on the clinical assessment. This should allow for more effective treatments and services since we will be looking beyond a score to a person’s strengths and needs. What didn’t change were the plans to eliminate Aspergers syndrome and pervasive developmental disorder and fold them under the ASD umbrella, even though there was significant outcry to reinstate these two disorders. The new revision is sure to stir up a lot of debate in the coming months and years, but hopefully it will have the net effect of helping us understand ourselves better. This entry was posted in Uncategorized and tagged asd, aspergers, autism, disabilities, dsm-iv. Bookmark the permalink.